The first snow of the year is always exciting. Everyone posts Facebook photos with their lawn furniture covered or their children fully geared up. So, I have those things so here you go. Let the celebration commence. One small caveat. I was only 25% committed to taking these pics. I was still in slippers and PJs, drinking my warm coffee and reading the paper. My daughter and dog were 100% in and ready, morning be darned. So, while I took cover under our back porch overhang, they both rolled in it and threw it in the air. 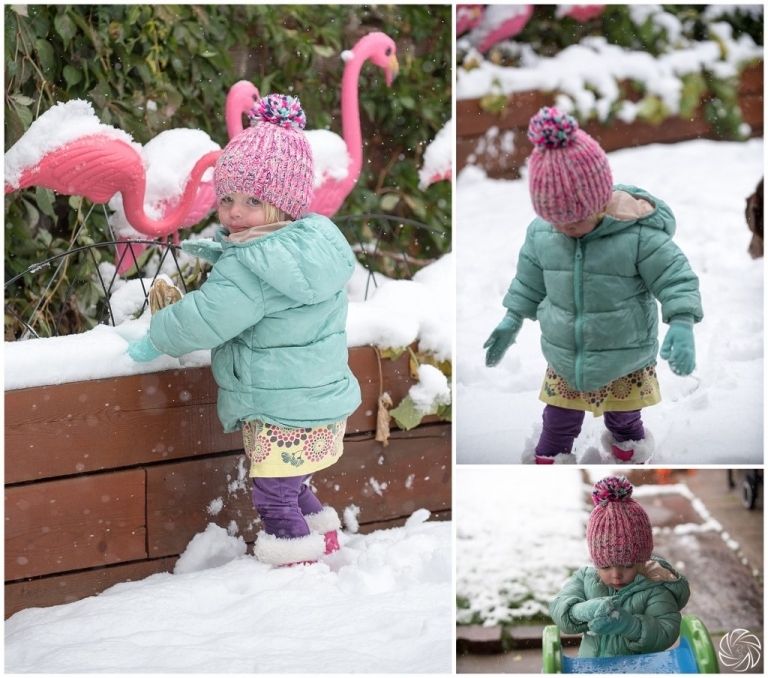 Ellie cleared flamingos off (they do not like the cold) and worked to get as wet as possible. It was a joyful morning over here in Park Hill. I hope you all had the same start to the fall season!